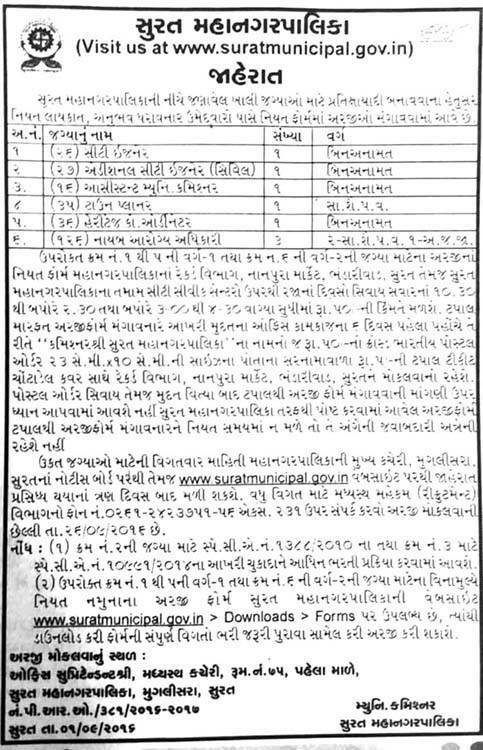 Surat Municipal Corporation (SMC) Surat Published Recruitment Advertisement for City Engineer, Additional City Engineer (Civil), Assistant Municipal Commissioner, Town Planner, Heritage Coordinator and Deputy Health Officer Posts. 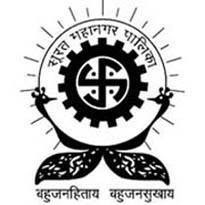 Send Application To This Address : Office Superintendent Shri (Central Office), Room No. 75, First Floor, Surat Municipal Corporation, Mugalisara, Surat.